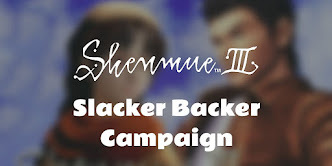 A young British musician - and self-confessed huge fan of Shenmue - Andy Hughes, has successfully taken on the immense challenge of creating a full music album inspired by the storyline of the first Shenmue game. He describes the sound as a "progressive rock concept album", referring to a musical genre that grew especially popular in Europe, and Britain in particular, during the 1970's. The idea of writing a Shenmue-inspired album was conceived many years ago, stemming from Andy's love of the game, and he has now successfully brought it to fruition in the form of this album, "The Samurai Boy Saga: 1986" with its successful digital release in March of this year (2017). The album covers: front (left) and back (right). Most impressively, not only did Andy write the lyrics and compose the musical score for each of the tracks, of which there are 12 in total, but he also performed all instrumentals and vocals for the songs. 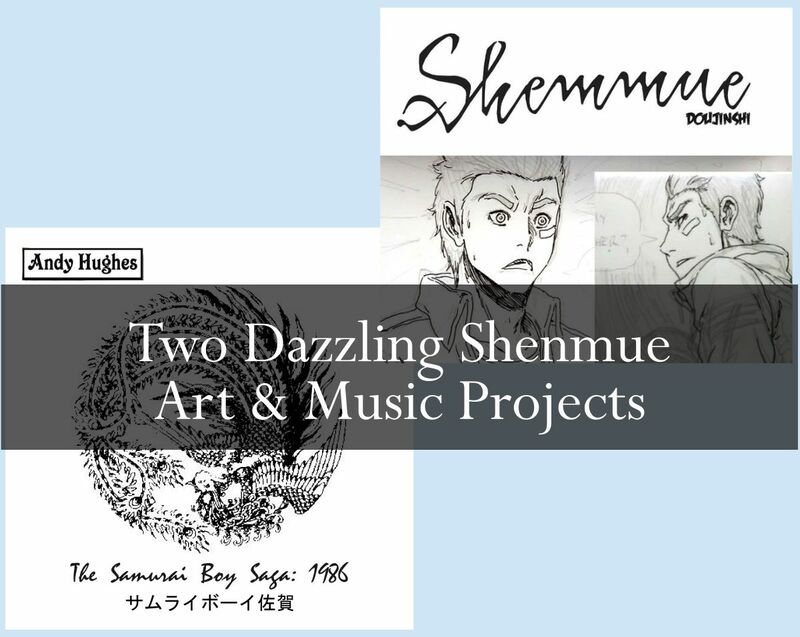 Each track is based on a scene or theme from Shenmue, with titles such as: "The Death of a Sensei", "The Mad Angels" and the heartfelt "Goodbye Yokosuka". Most have vocal accompaniment, although some like "A Voyage To Hong Kong" are purely instrumental. The songs in the album are dramatic and stirring, evoking in the listener the emotions Ryo must have felt as he journeyed through the first game. 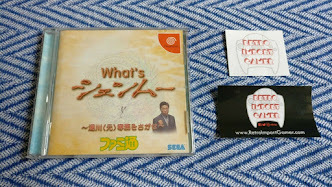 At times, part of the Shenmue main theme is also cleverly threaded into the music. Andy talks about his love of Shenmue, and how he went about creating the album in an interview with James from That Video Games Show (last year), which can be viewed below. If you like what you hear (and particularly if you would like to encourage Andy to produce a Shenmue 2 album in the future! ), consider showing your support with an album purchase. September 2017 update: work on the Shenmue Doujinshi project is no longer active. See the note at the end of this article. 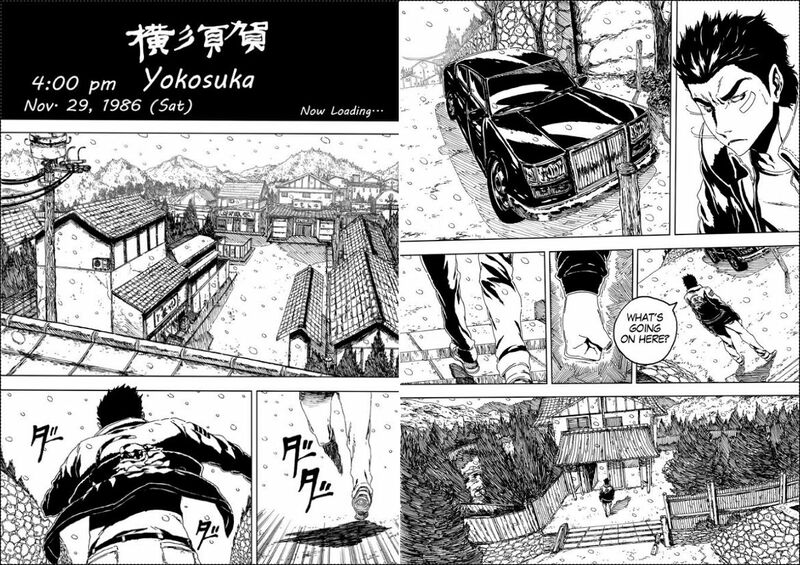 The second Shenmue-inspired project we will introduce here is a doujinshi, or fan-made manga, telling the story of Shenmue. It has been dubbed "Shemmue" by its creator, to avoid treading on legal toes (character names in the story have been undergone similar minor alterations). The artist, Sebastian Riera ("SebasRD82" on social media), has been working as a professional comic book artist for the past 14 years. As you can see from the samples, the art is of an exceptionally high quality and really recreates the feeling of the game. The first two pages of Ryo's story. (Note that the panels on each page read from right to left). The initial pages of the comic may seem familiar, as they were shared by the artist back in 2015. 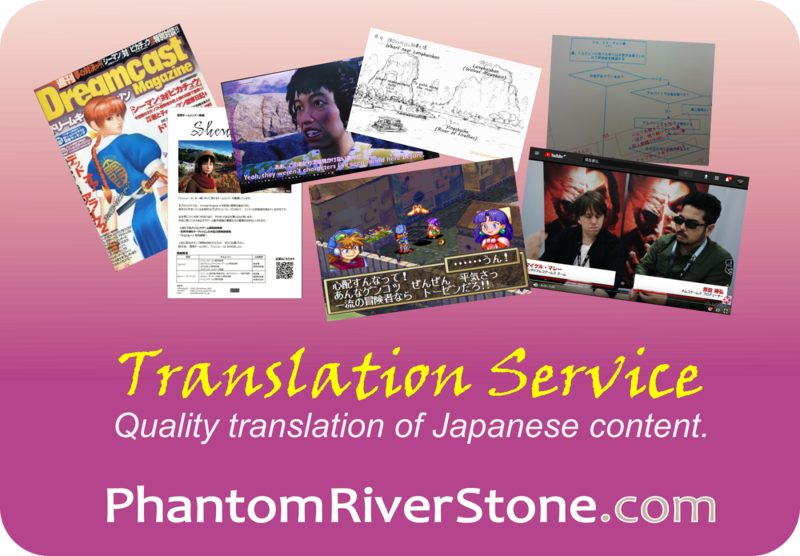 Now a Patreon project has been launched, to enable the artist to continue with the depiction of Ryo's journey. The project goal also includes showing the creative process along the way, as well as producing exclusive artwork for backers. 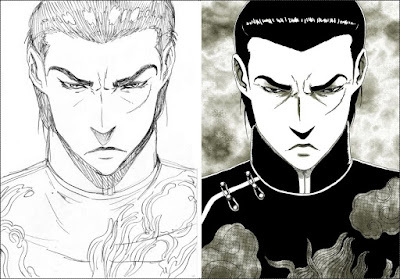 Sketched & inked versions of Lan Di. All patrons gain access to the manga pages as they are produced as well as patron-only updates, while higher rewards include preview sketches of the pages and exclusive artwork. Several sketches and pages, including the ones shown here and more, are available freely for non-patrons to view, so head over to the Shemmue Doujinshi project on Patreon to check out more art together with the details of the project! September 2017 update: work on the Shenmue Doujinshi project is no longer active. From the Patreon page: "I don´t have other choice to put the Shenmue in hiatus at this moment, cause I´ m still taking care of the comic/merchandising store while working on manga projects for my publisher." Both of these are amazing, by two incredible artists! !